What’s enchanting about a Patagonia tour? 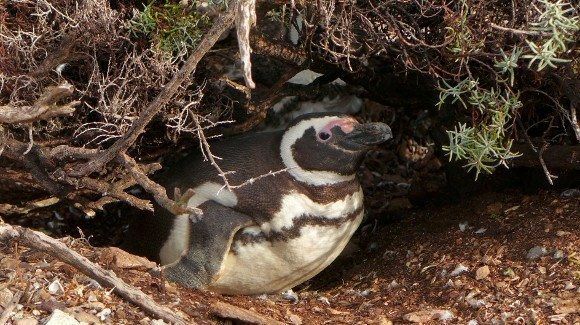 Jacqueline Spencer shares her experiences and impressions from her latest Patagonia trip amid the stunning sea and landscapes in Argentina. 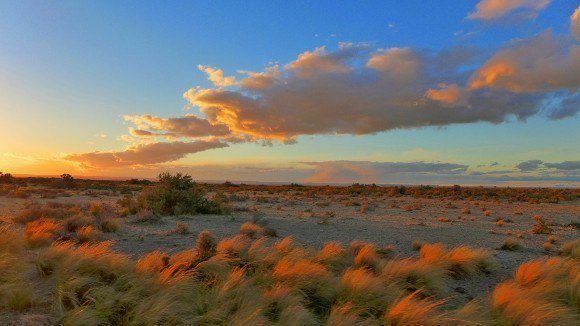 I love open country, the sensation of vastness all around me when I embark on my Patagonia tour. Landscapes so pure, so large and overwhelming, their enormity surpasses my ability to intellectualize and thus my connection to them is visceral, my reaction deeply emotional. For this reason I adore the massive expanse of territory that cradles both sides of the Andes at the far South of Argentina and Chile. Join me on a journey into wild Patagonia! The trip was conceived on a whim, with a kindred spirit and fellow lover of Patagonia. Like many voyages, ours begins at the sea: the southern Atlantic coast of Argentina in Comodoro Rivadavia. After some painful spelling difficulties with the local worker at the bus station ticket counter, “Yakelin Esttencer” and friends hop a local bus to a remote seaside village. We arrive just in time to watch a perfectly pink sunset over the picturesque bay before retiring to our cabin. The next morning we cross over at low tide to an island filled with penguins curious to meet us as they peak out of their hiding spots. Later we walk along dramatic cliffs and long beaches, the sea being surprisingly calm and bright blue, though the forceful wind felt like walking through a brick wall. We continue our hike and reach a sacred place, an ancient Tehuelche burial ground where the steppe meets the sea. As evening falls, we watch the sky explode into bright fuchsia bursts and feel the sea mist on our faces. Our journey has begun. A couple of days later we meet up with our friend and his land cruiser and begin our travesia across the steppe heading towards the mountains and its fascinating landscape of nothing but shrubby grass for hundreds of kilometers. Suddenly the steppe drops out from under us into a surreal landscape of eroded rock formations and canyons striped in bright hues of green, red, orange, yellow and even purple. 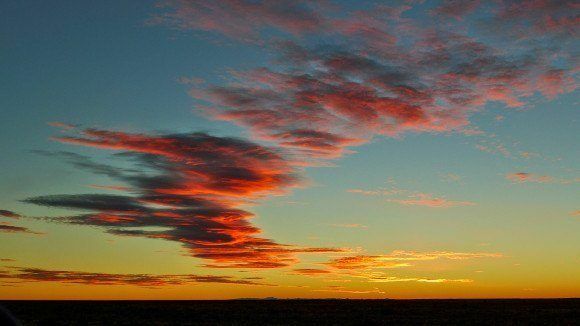 We visit a petrified forest and marvel at the millennial tree fossils, before the sunset streaks brilliant yellow-orange fire across the sky, and we see a glimpse of a jagged mirage in the distance cresting the horizon – the Andes! Many have heard of Ruta 40, the legendary highway that runs parallel along the entire length of Argentina. Ruta 41 is its wild little sister, connecting a small virtually unknown stretch of the Andes between Los Antiguos and Lago Posadas. 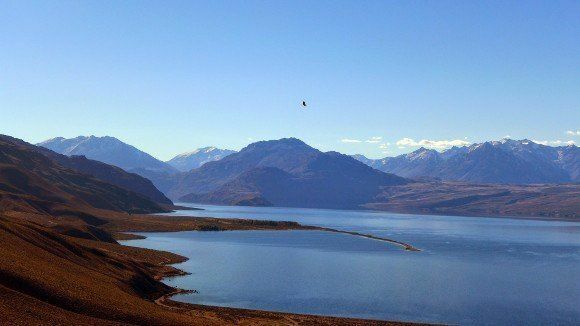 As we wind around its curves, the landscape morphs from quaint woodland river valleys to grand deserts littered with incongruous patches of snow, then descends down into fertile pastures and sparkling lagoons filled with migratory birds. There is not another person sight, hours pass, mile after mile and we are the only souls on the road. I couldn’t be happier. After a long day of driving we’re received by Susana, the sweetest little Argentine grandma you could possibly imagine at her small hostería in Lago Posadas town. The next day, we explore Lago Posadas, which is a crystal clear lake famous for the graceful rock arch island poised elegantly in its center. We hike along the uneven shore and up to a slot canyon where the blue-green river cuts art nouveau designs into the rocks before plunging furiously down into a deep ravine. As the sun sets, we venture over to the east side of the lake. The sensation is magical as we walk across a dried up lagoon crowned on all sides by colorful geological formations that are riddled with caves containing virtually undiscovered prehistoric rock paintings. Joining up again with the famous Ruta 40, we make an obligatory stop at the UNESCO World Heritage site La Cueva de las Manos which did not disappoint. 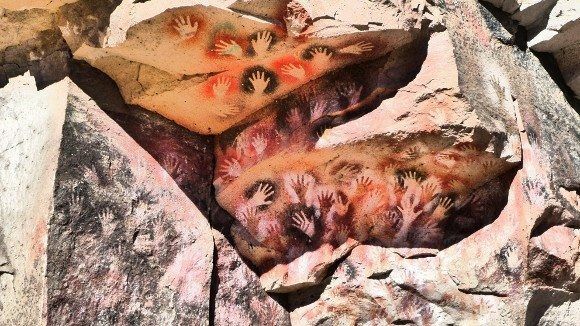 Splattered across the walls of the canyon are the painted hands of hundreds of our ancestors dated some 13,000 years ago, yet seemingly as if they were created just yesterday. 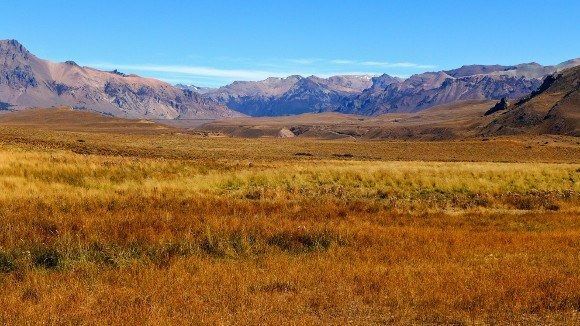 The following 100 kilometers of our Patagonia tour are the most remote stretch of our trip and probably Argentina’s best-kept secret in terms of National Parks. The scenery is jaw-dropping, and not surprisingly, there are no other people in sight for miles. At dusk we reach our accommodations for the next few days, Estancia La Oriental, hosted by robust and jolly Eduardo “el gordo” and his sarcastic yet sweet wife Suly. This couple manages to melt your heart and split your side with laughter all at once. They immediately fire off a playful banter and lead us to their living room to show us photos of Eduardo’s glory years as a rally race car driver. It’s noticeable how much they love receiving visitors in their home and actually having people to talk to! 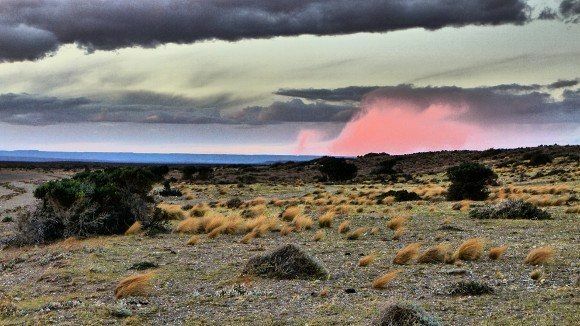 Continue reading about Jacqueline’s voyage across the remote beauty of Patagonia, to receive more inspiration about Patagonia tours. Before your embark on a tour of Patagonia, click here for some handy tips for your first time driving abroad.